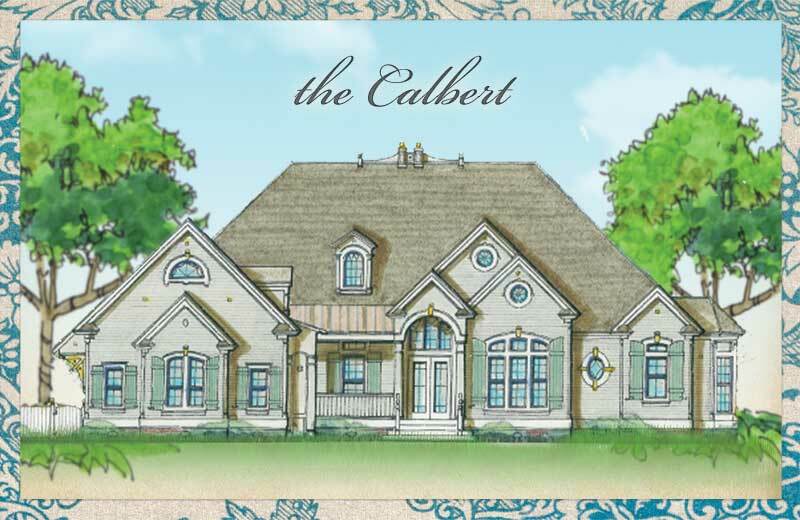 The Calbert’s elegant coastal architecture features a widow’s walk, a grand arched entrance, and an intricate window design of arched, oval, and circle windows with rustic style shutters. The elegance of the interior details lives up to the standards of even the most discerning homeowner. 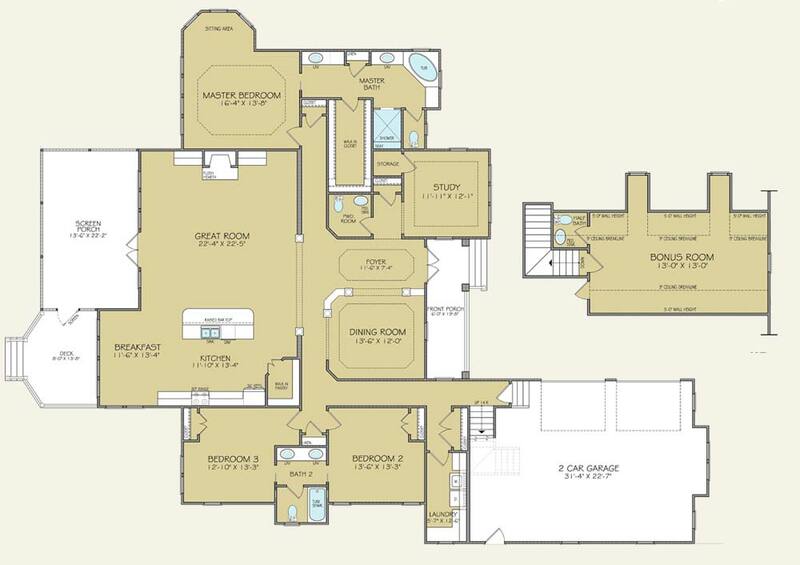 In addition to the formal dining room, gourmet kitchen, great room and separate family room, a classic study flanks the foyer. 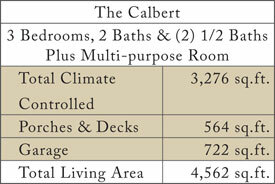 An expanded owner’s retreat and two guest rooms make hosting a pleasure. Several outdoor living areas provide extended private refuges for relaxation or entertaining in the year-round temperate coastal Carolina climate.